I recently read, or rather heard, two audiobooks by Laura Lippman: her current standalone novel Sunburn and a previous book in her Baltimore private detective series (Hush Hush). The detective novel worked OK as an audiobook, and having read several earlier books in the series, the story offers a new investigation as well as updates on familiar characters and settings. But Sunburn particularly shined in the audio version (though I can imagine it is also satisfying as words on paper). Lippman has turned noir inside-out in her reimagining of the genre as practiced by James M. Cain and other pioneers of small-town, truckstop noir. Lippman begins with a stock scenario, two strangers in a bar, who've stopped as they passed through this small town in lower Delaware, a town not close enough to the beach to be prosperous. Their interaction is relayed in both their points of view, in alternation (as is much of the book), and their voices tell the story as much in what they leave out as what they tell: the key events in the story, murder, arson, fraud, conspiracies of several sorts, occur in the in-between spaces, referred to obliquely rather than portrayed directly. The effect is a tightening web woven by the characters out of their own personal lives and struggles. 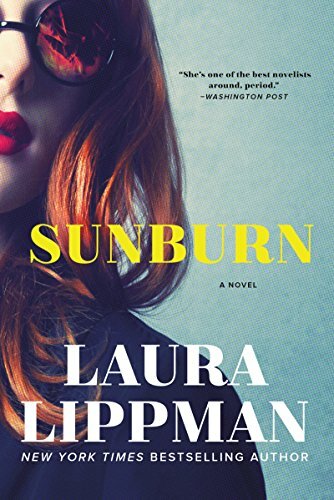 Sunburn is a departure for Lippman, both from her detective series and from her previous standalones, which are psychological thrillers. Sunburn, on the other hand, is a satisfying plunge into purest noir, told through the spiralling voices pulling the characters through twists and revelations toward the sort of final crash that not everyone can survive.